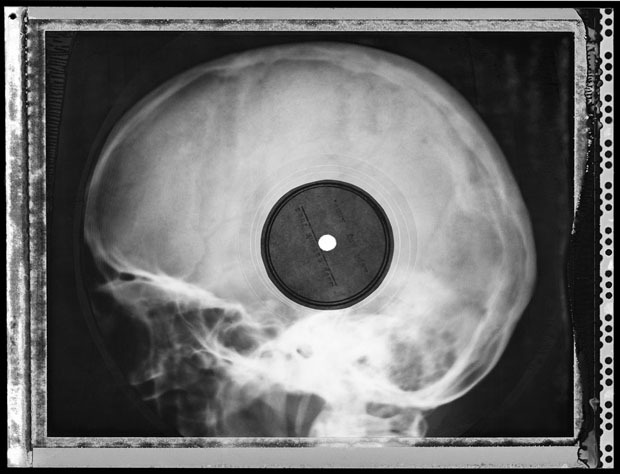 In an inspired marriage of vernacular photography and banned music, these photographs of his fantastic collection of Soviet-era X-ray bootleg records, mostly from the 1950s, presents a fantastically odd part of history that demonstrates the true ingenuity of the music-obsessed.The images seen here aren’t the records themselves but new prints made by photographer József Hajdú, who has enlarged details of the disks to make these images. Imagine being a music lover in 1950s Soviet Russia, knowing even some of what was happening musically on the other side of the world, and not being able to hear a lick of it. In this era, those caught with recorded music faced those caught with forbidden music faced prison time, but ingenious record hounds still made bootlegs of albums that had been successfully smuggled over the border with Eastern Europe. 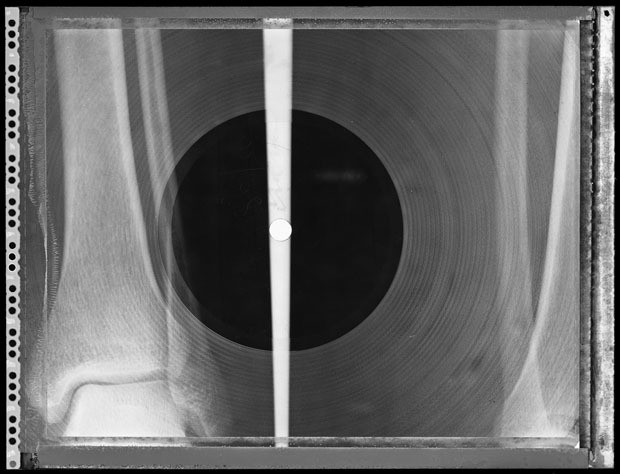 The clever bootleggers scavenged discarded radiographs (X-rays) from hospital dumpsters and used them to press their records onto. 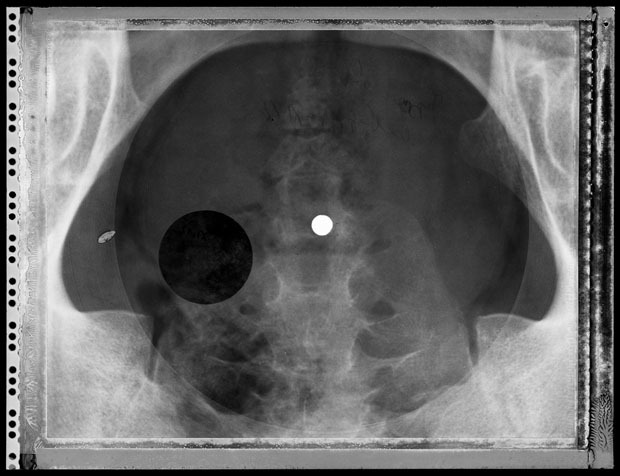 As reported by NPR, they would cut the appropriated X-ray into a circle with manicure scissors, burn a hole in the middle using a cigarette, and press the recording onto one side only of the X-ray for a low-quality but coveted version of the original. 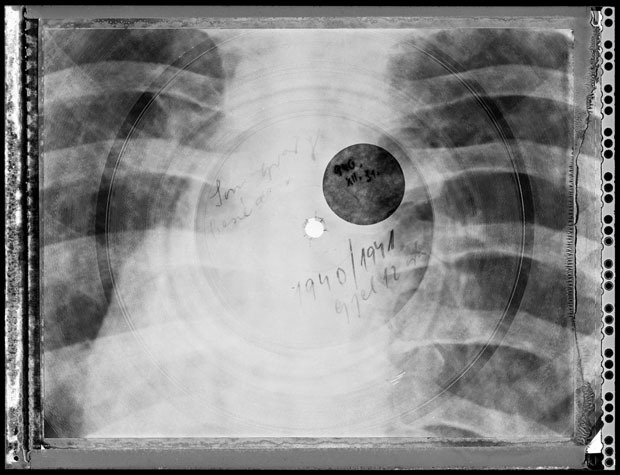 The inexpensive roentgenizdat (X-ray records), also called “bone music,” successfully kept them in music and out of jail—at least until 1958, when the KGB caught on, made them illegal, and confiscated any they could find, effectively putting an end to the practice. Via The Vinyl Factory. 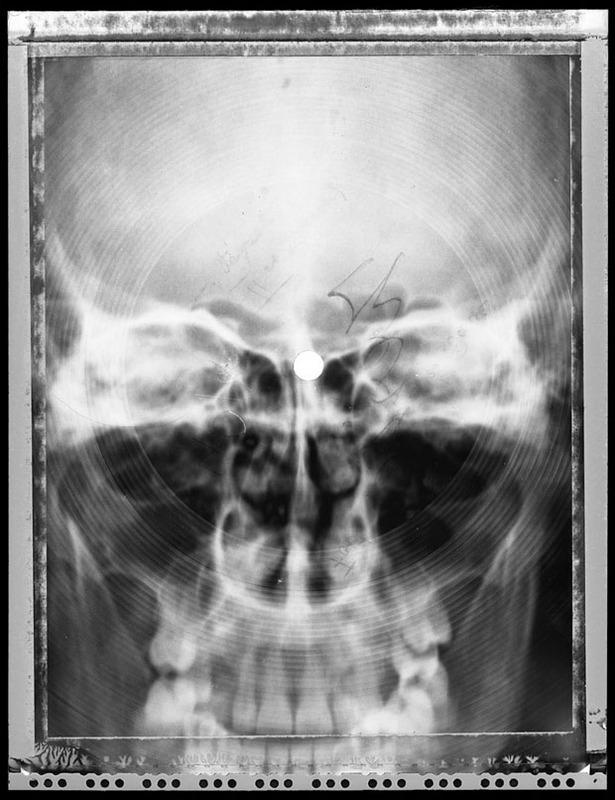 All photographs © József Hajdú.